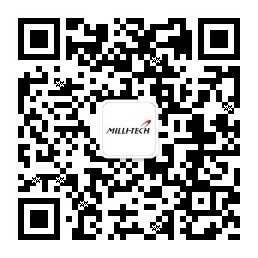 MY Polymers OF products are optical fiber primary coatings with low refractive index and high transmission. Distinguished by their carefully balanced combination of high adhesion to the core, and high modulus, these UV cured coatings are setting new standards. 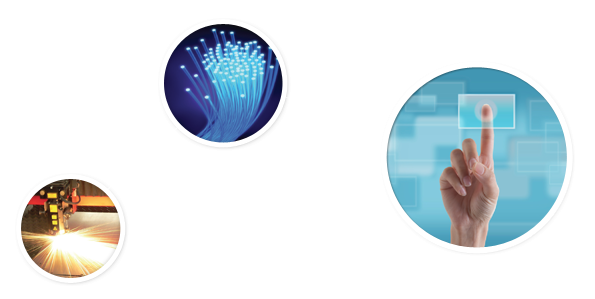 Our best-selling OF-136 (RI=1.36) is used by the majority of specialty optical fibers manufacturers. This product, like quite a few other members of the OF family, includes a proprietary adhesion promoter that dramatically improves adhesion, especially under wet conditions. OF-133-V2 (RI=1.33) enables a breakthrough Numerical Aperture of 0.6 . Its close relative, OF-134-V2, couples a low index of 1.34 with a relatively high modulus of 20 MPa. The high NA of these products can significantly increase the efficiency of optical amplifiers and fiber lasers. For demanding applications, customers choose the combination of very high modulus and very high adhesion offered by OF-138 (index 1.38), OF-139-N, and OF-140-N. These tough coatings are preferred for fibers that are subjected to high mechanical stresses and high temperatures. -OF-HC-14 is our only secondary hard coat. The adhesion of OF-HC-14 to primary low index coatings is about an order of magnitude higher, compared to similar commercially available hard coats. -OF-136-FC (Fast Cure) was designed to enable faster drawing speeds. devices, such as pump power combiners, splitters, couplers, connectors, etc. Enabling breakthrough in efficiency, MY-133-V2000, MY-133-EA, MY-132, MY-132A, MY-131 and MY-130 are becoming an important competitive tool in the photonics industry. The low Refractive Index of 1.30 to 1.33 reduces light leakage in various applications, enabling both higher efficiency and higher reliability. These products are field proven. The pioneering MY-133, has been in the field from 2004. The best-selling products in this line are MY-133-V2000, and MY-136-V2000, followed by the newer MY-132, MY-130, and MY-133-EA that has an integrated adhesion primer. Distinguished by their strong adhesion and their robustness, the MY-140 products are used wherever there is a need for high bonding strength, coupled with low refractive index. Typical applications are for bonding of optical components , where the adhesive is in the optical path, or adjacent to the optical path. The MY-140 product line technology is used in the field since the year 2000. One typical application is the production of SPR biosensors, that requires a coating with an index of 1.33 (the RI of water, and hence of body tissues and cells, is also 1.33). In this application, the MY-133-MC is coated over the surface of a glass wafer, using spin coating. MY-136-MC is a new member in this family, which is distinguished by its higher hardness. The AR products are hard anti-reflective coatings, with refractive index of 1.38 – 1.41. These products are liquid repelling, allowing easy removal of grease, various oils, solvents and water. The AR coatings are Moisture Cured. They are supplied as 60% solids solution. With pencil hardness of 2H – 1H, these coatings provide god abrasion resistance. These are very high viscosity adhesives, similar to the adhesives used in common adhesive tapes. LOCA-133 is superior to PS-133 at higher temperatures. However, it requires a final UV curing stage after lamination. LOCA-133 is recommended for PET to PET and other plastic films laminations. LOCA-133-1 is more adapted for glass to foil lamination with a small sacrifice of bonding at high temperatures. It can be considered the general purpose lamination adhesive. Both LOCA-133 and PS-133 are available in 2 versions: Diluted to 35% solids (65% solvents) and non-diluted 100% solids. These adhesives are intended for lamination – bonding of films and flat surfaces. LOCA-133 and LOCA-133-1 are by far the strongest adhesives with such a low refractive index. The adhesion primers increase the adhesion of low index adhesives, such as MY-133-V2000 and most other MY products to various materials. Optimal primer selection depends on function and materials. For example, PRIMER-G is frequently used to enable good adhesion of an optical fiber recoated with MY-133-V2000 to a glass ferule. 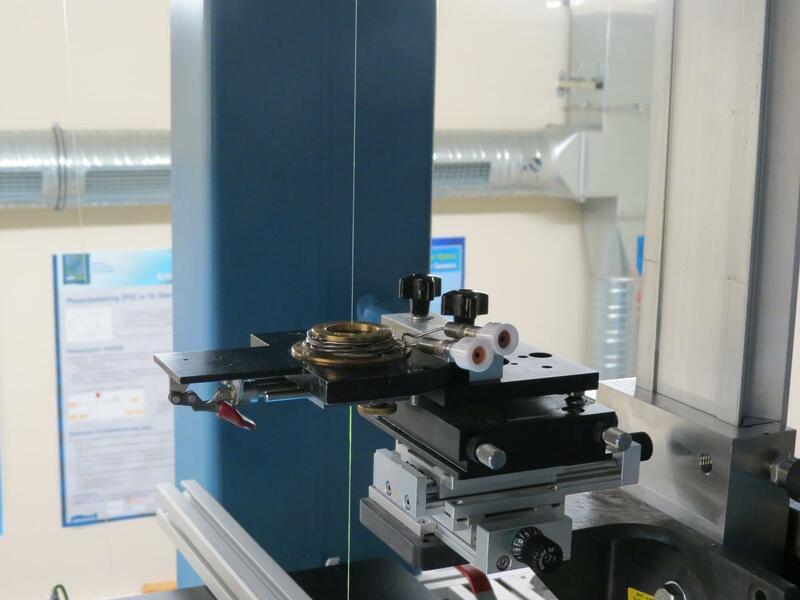 However, to enhance adhesion to the surface of a component that is in the optical path, where a low RI at the boundary is necessary, PRIMER-PS 2 should be used. All these primers are solvent borne (25% solids). They are applied to the surface and allowed to dry out. After the application of the Low RI adhesive they undergo UV curing simultaneously with the top adhesive.